A raised vegetable gardening bed needs a lot of maintenance. People generally grow annuals such as tomatoes, peppers, squash, and greens in a raised bed, and these types of crop need to be replanted every year, need ample quantities of water and care, and require the soil to be weeded and refreshed with compost each year. A vegetable garden would only occasionally be appropriate in a municipal, commercial, or multifamily setting. An edible landscape would usually be comprised of plants that grow as a woody shrub or tree, such as blueberries or apple trees. These plants have the potential to fit within the context of a more industrialized landscape without needing an extraordinary level of additional care (when compared to low-maintenance native and well-adapted shrubs and trees). 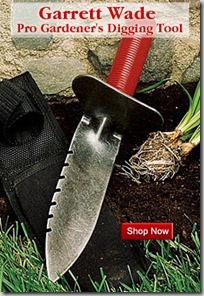 Problem: Security concerns with passersby or homeless loitering near windows or vehicles while picking fruit. Solution: Either place edibles in larger planting beds where they are a ways away from parked cars or windows, or place the edibles in such high-traffic zones that shady characters won’t feel comfortable loitering. Problem: Smashed fruit on concrete or rocks. Solution: Plant fruit trees in wider beds where fallen fruit will stay contained within the bed and not roll onto pathways or parking areas. Problem: Wasted fruit attracts vermin or becomes a maintenance or safety issue. Solution: Reach out to employees and customers and encourage them to take as much fruit as they can use. Alternately, call your local food bank and find out if volunteers are available to take away any excess fruit as a donation. Problem: Liability concerns with people potentially tripping in the landscaped beds, or slipping on fruit. Solution: Place fruit trees in open, mulched areas, or within lawns with a ring of mulch around base, so there are fewer shrubs and uneven surfaces to potentially trip on. Don’t put any type of fruiting plant where branches will hang over onto paths or parking areas where dropped fruit could become a slipping hazard. Problem: Edibles may require more water and care than do the average low-maintenance plant used in industrial landscaping. Solution: First, choose edibles wisely for their maintenance needs, then position and plant them appropriately so they’ll be happy and have fewer disease issues or maintenance needs (many ongoing disease issues are caused by planting a tree too deeply into the ground and burying part of the trunk, or damage to the trunk caused by string trimmers/ mowers). Second, engage anyone who seems deeply interested and ask for their help in performing occasional seasonal maintenance tasks. Third, see if you can offset any potential additional cost (for yearly pruning, etc) by making some valuable business gains, such as getting featured in the local press, being able to improve employee or tenant retention, etc. 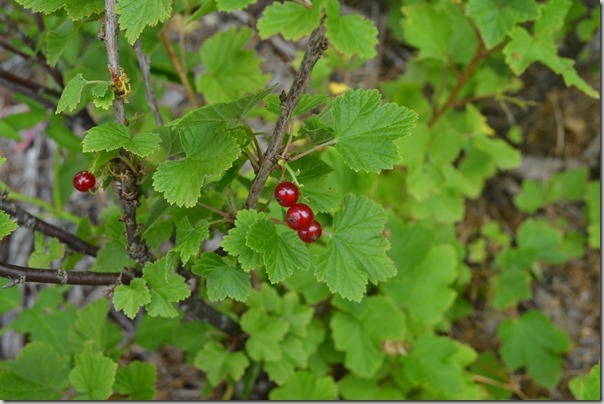 Red currants are a woody shrub that can be a successful choice in an industrial setting. Photo by Janette Heartwood. Native edibles. Any woody shrubs or trees local to your region that have edible parts. In the Pacific Northwest, huckleberries and our native flowering currant are both excellent choices (if thoroughly sugared when used!). Natives feed wildlife if the fruit isn’t harvested, so these are a fantastic pick. Traditional fruit trees. 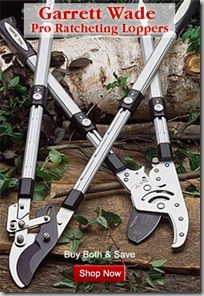 Almost any kind of woody tree that does well in your region would be a great choice. Apples and pears, citrus, cherries and plums, figs, loquats, peaches, persimmons, nut trees and more can be excellent picks. Nuts and cherries often have the added benefit of being eaten by birds if not harvested. Cornelian cherry (Cornus mas). This dogwood species has tart edible fruit from a 20′ tall deciduous tree. Aronia berry. I have recently begun growing Aronia, and it’s got a complex, astringent flavor that many people love. I’d use it to make a syrup rather than eat them straight, but my partner likes them right off the bush. Low-mess, low-maintenance. More about designing with it here and making cocktails with it here. Gooseberry. Gooseberry is a prickly shrub which grows easily in most settings. Given the prickles, it can be used successfully as a hedge in places where you’d like to discourage passage. Not the tastiest fruit, but doesn’t leave a mess if nobody eats them, either. Currants. Red and black currants are woody shrubs that fit easily into a landscaping context. Berries make little mess if not harvested. Chilean guava (Ugni molinae). Upright evergreen shrub to 4-5′, easy, no-mess. Has a divinely delicious scent of strawberries which drifts over to paths and delights passers-by, but fruit tastes more herbal and gin-like than you’d expect from the scent. Low-maintenance, no mess. Huckleberries. The Pacific Northwest native evergreen huckleberry (Vaccinium ovatum) is a great low-care landscaping plant, completely aside from its edible nature. Perennial or shrubby herbs. In climates where herbs thrive as year-round landscaping plants, rosemary, sage, oregano, thyme and other herbs which grow as a woody shrub or clumping perennial are good choices. Alpine strawberries. While most strawberries can become messy if ignored, and need rejuvenating every few years, alpine strawberries are a lower-maintenance alternative that don’t suffer if the fruit isn’t eaten and don’t need to be replanted periodically. They will spread by runners if there isn’t any landscaping fabric keeping them from setting down roots. Don’t plant any low-growing plants where dogs might make that a problem. Kiwi and grapes. Vining plants such as kiwi and grapes can be excellent choices if your commercial landscape has an unusual amount of space for a large pergola or trellis. When I say large, I mean large. I would probably put only two grapes or two kiwis (one male, one female) on 20′ x 20′ pergola. You will still need to prune them for size, probably annually. 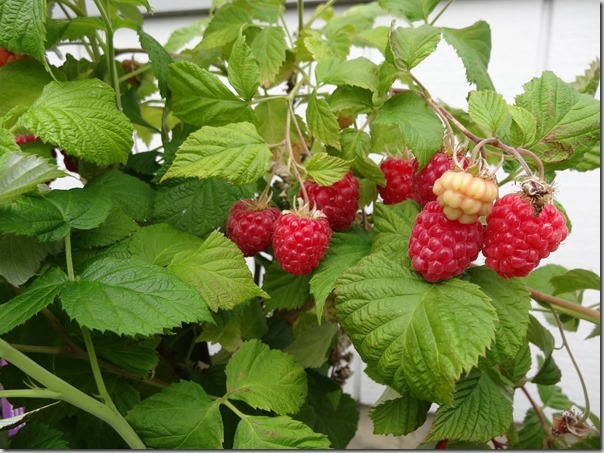 Raspberries are a delightful choice for home gardens but inappropriate for commercial landscapes. Artichokes. These plants are lovely to landscape with since they have a sculptural habit and nice foliage. However, they need some yearly pruning and are heavy feeders. There is potential for messiness and more maintenance than is suitable for a commercial landscape. Spreading or annual herbs. While some herbs are great, parsley and cilantro need replanting every year, chives tend to have cycles of dormancy where they don’t look so hot, and mint spreads in a way that’s inappropriate for an industrial setting. Most strawberries. If on the ground, strawberries suffer a few issues in commercial landscapes. Most strawberries should be replanted every 3-5 years for better production, which isn’t practical in commercial landscapes. They also like some water/maintenance/care to do well, and can rot or look messy if ignored. Lastly, dog mess can make any low-growing edible a discouragement in this type of setting. Cane berries. 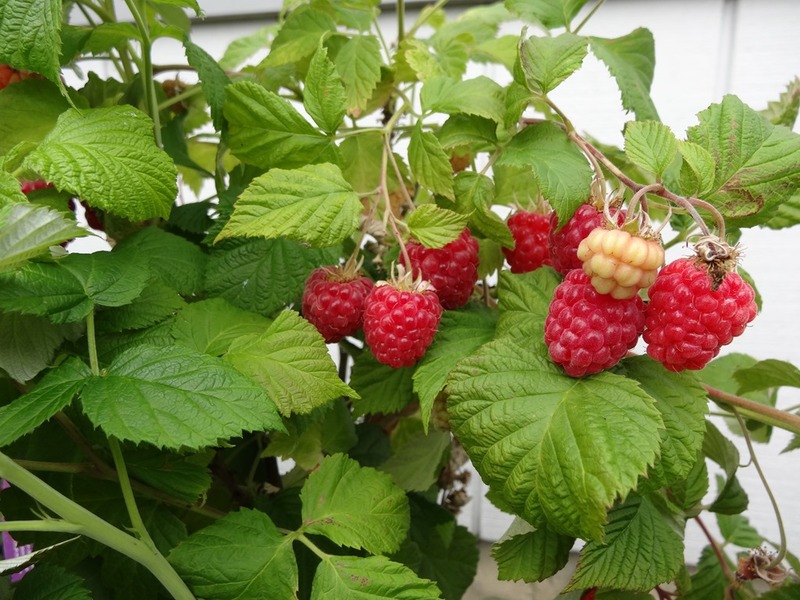 Berries that grow from canes sprouting up from the base, rather than as a woody shrub, are a poor choice because they will either spread all over your landscape (raspberries) or will need to be tied in to a support structure annually or more often (blackberries, tayberries, marionberries, boysenberries). The obvious ones. Most vegetables need regular care and replanting yearly, so would not be a good “plant it and forget it” choice for an industrial landscape. What do you think? Do you have any plants to add to these lists, or tips that might make it easier for businesses to incorporate edibles into their landscaping? Let me know by leaving a comment! So well researched! This article should be handy to anyone contemplating this kind of project! Such a well-researched and written concept. Although I’m in a very different climate zone, the principles you describe can easily be adapted. It would certainly be good to see commercial landscapes using a more diverse group of plants and I like the idea of people interacting with the plants around them in different ways than just the visual. Perhaps adding some signage about the basic care requirements of these plants would encourage people to try them in their home gardens too. As an edible landscaper thank you for such a great article on planting edibles in industrial or commercial settings. The design considerations you have brought up are spot on and I especially like how you include native edibles as the first choice. Well written, I cannot wait for your next article. Hi Genevieve, perfect article as I’m just completely redoing our garden and it’s large – the blueberries will now be incorporated! Don’t forget the wet/shady UK when you’re giving your recommendations! Thank you! Hi Kate, given all our rain here in the redwood rainforest, I would tend to think our climates are fairly similar! Though I have heard rumors that perhaps UK soil sometimes tends more towards alkaline, in certain areas. Our soil here is naturally acidic. 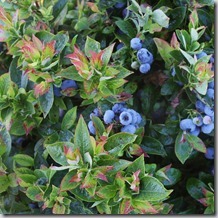 So if that is the case for you, don’t forget to add some natural acidifiers to the soil when growing blueberries! Yes, I think about that too. I shudder when driving along large landscaped areas void of anything edible all around town. I see wasted opportunities to help ourselves and others. Work crews plant, trim, fertilize, dead-head, blow and mulch, de-thatch grass at a great cost. I see the usual ornamental shrubs and the same boring small trees. Flowers are beautiful and we need them for pollination but let’s also put among them plants that give something back! As a teenager I remember hearing a new song on the radio and it became my favorite, then the radio station played it what seemed every time I turned on the radio. I couldn’t get away from it, and I went on to dislike it. That is what has happened to me this last year with crepe myrtles. Such a beautiful flowering tree with lovely bark. But what happens when someone has a spot to plant? They stick a crepe myrtle in the middle of it. If the space they have is larger, they put in a Bradford pear. Ugh. A dwarf fruit tree can go anywhere a crepe myrtle would be. Instead of Pampas Grass, for example, I planted Lemongrass. It even looks like it. Edible plants and trees among the landscape add so much more interest. This is a really great article. I would love to grow an edible landscape especially since I live in a big apartment building. Really any type of berries would be great. Thanks for sharing these tips.